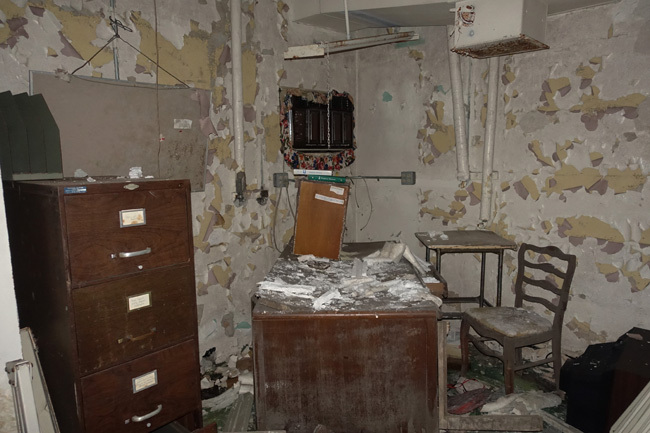 Riverside Hospital served the Toledo area for nearly a century before it became a dark, forsaken husk surrounded by a field of cracked pavement. 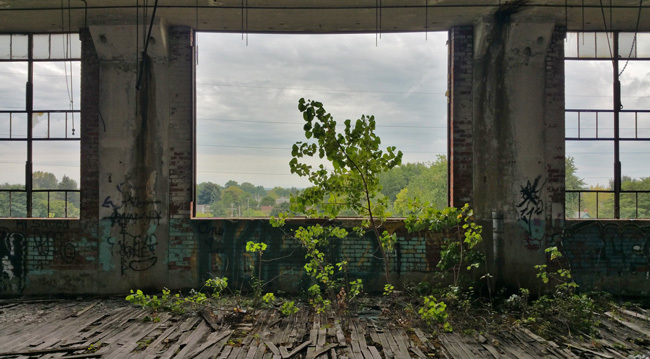 After visiting the abandoned Joseph & Feiss Clothcraft industrial compound in Cleveland, I made my way to Toledo to admire the aging remains of Riverside Hospital. In October 1883, the Sisters of Mercy opened The Retreat, A Home for Friendless Girls. 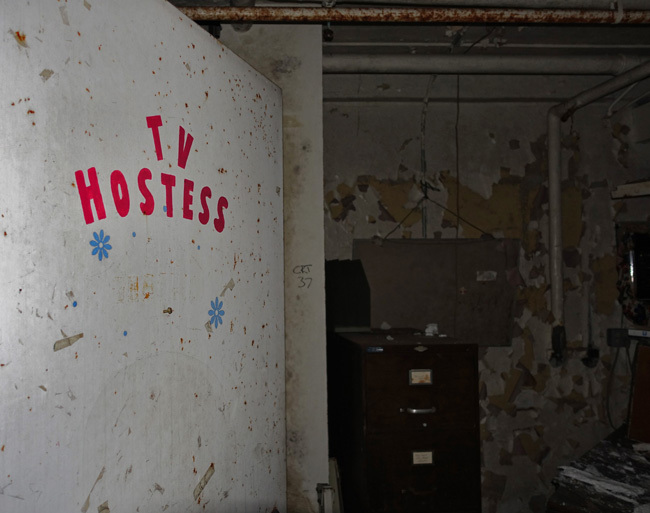 The facility housed young women who were unwed and pregnant, which was taboo at the time. The Retreat kept these expecting mothers hidden away from a society that shamed and persecuted them. Children born there were quietly sent to live in orphanages. 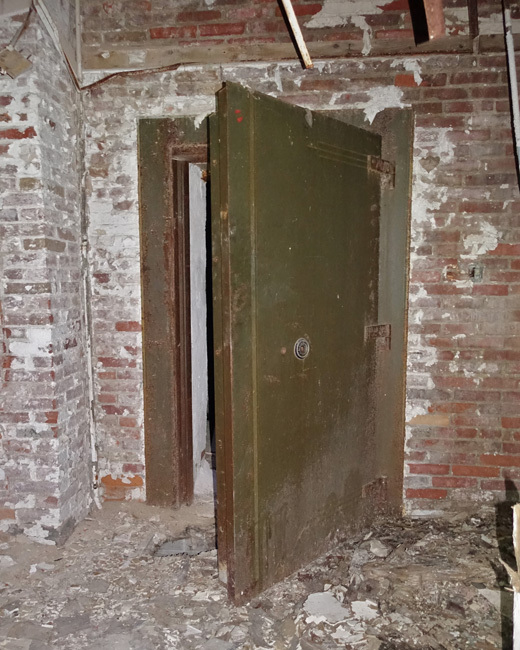 The Retreat moved to various sites before settling at its permanent location at 1609 Summit Street in 1890. 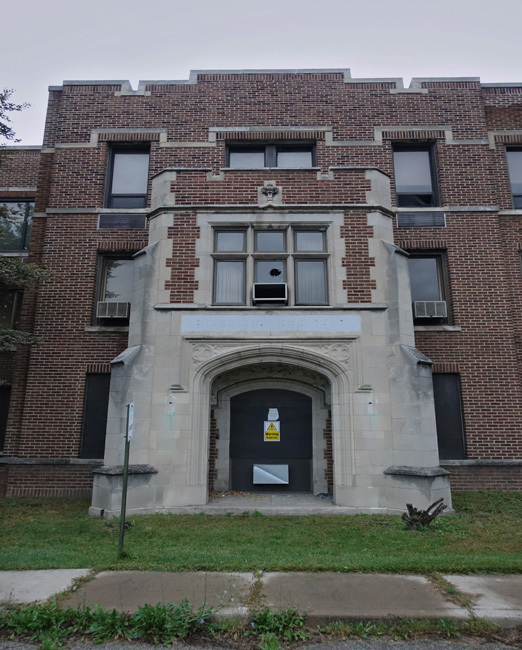 It was upgraded in 1920 with the addition of a 75-bed facility. Over the years, other additions were built and the scope of services offered expanded. The hospital admitted its first male patient in 1932. 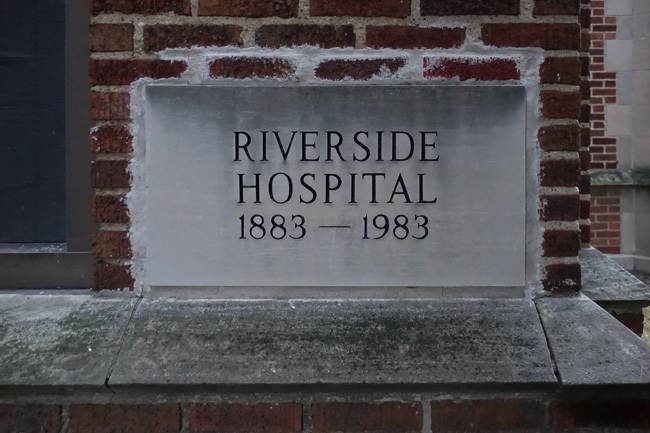 The name of the institution changed several times until 1945, when it became Riverside Hospital. In 1983, the Sisters of Mercy founded Mercy Health, which managed the hospital from then on. The 271-bed hospital closed in 2002. 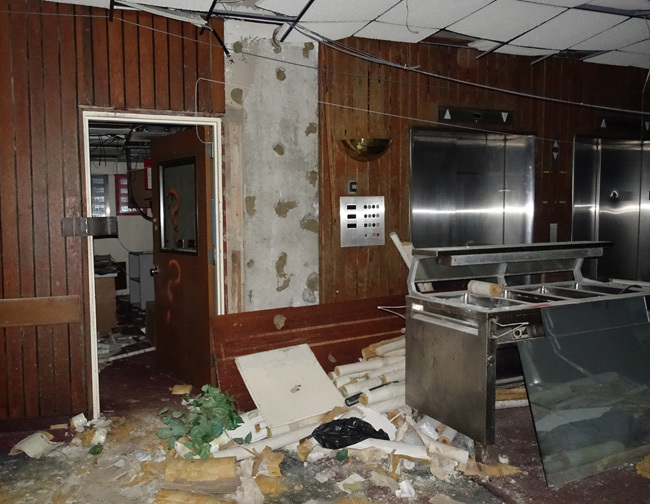 Entrances and windows on the ground floor were boarded up. The freeze-thaw cycle of harsh Midwestern winters cut networks of cracks through the expansive parking lots. 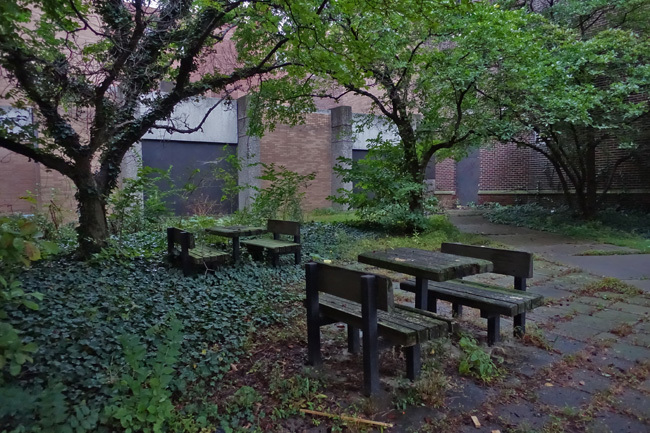 Outdoor sitting areas became overgrown with lush ground cover and thick layers of moss blanketed the surfaces of wooden benches and tables. 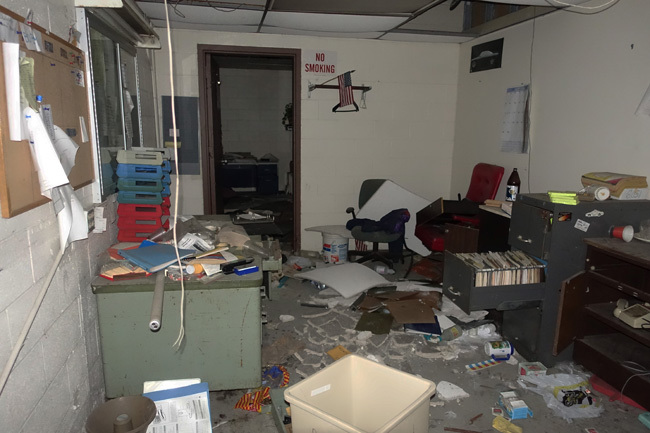 The Toledo Public School District bought the site in 2004 for $750,000 and renovated one of the structures to house its central administrative offices. 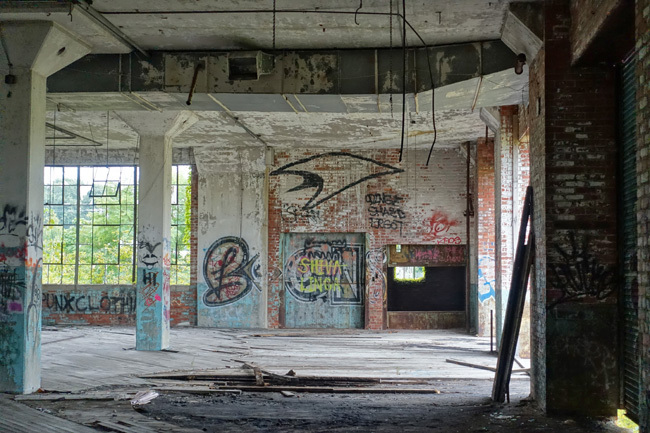 The future of the rest of the building remained uncertain. 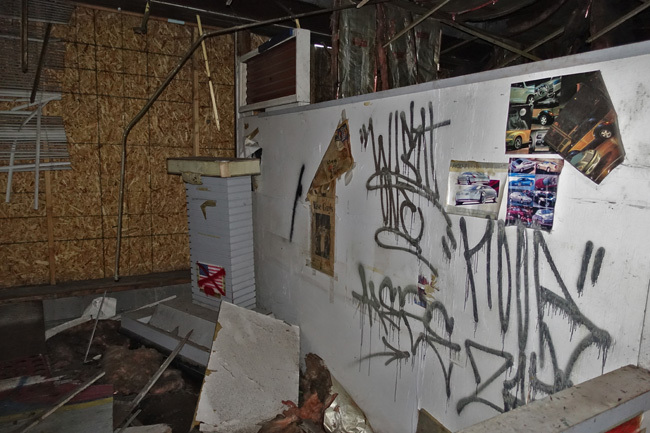 When scrappers began breaking into and looting the abandoned structure, motion detectors were installed and the local police began closely monitoring the property. 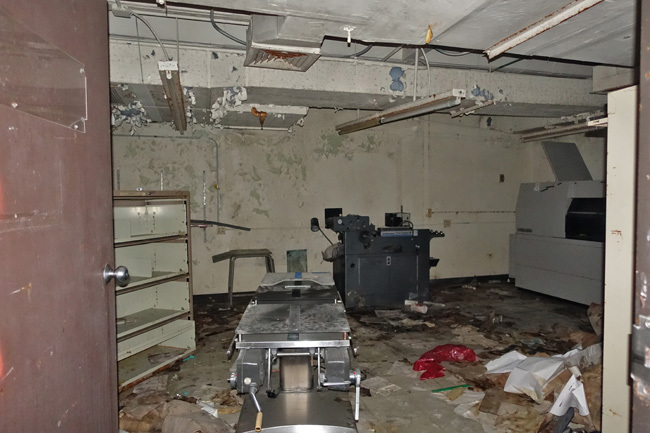 Over a decade after the hospital's closure, quite a bit of equipment still remained. 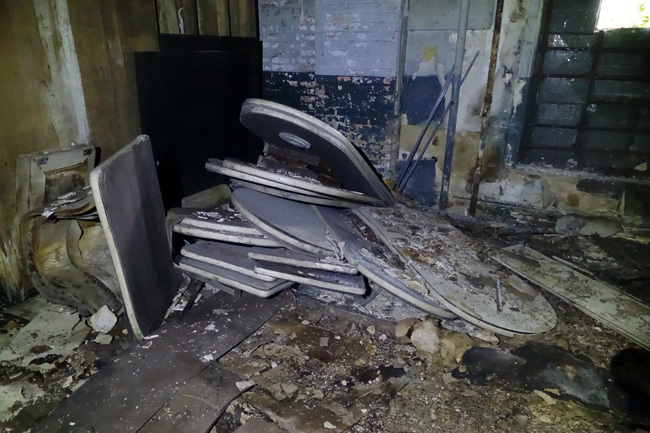 Office furniture and files were also left behind. 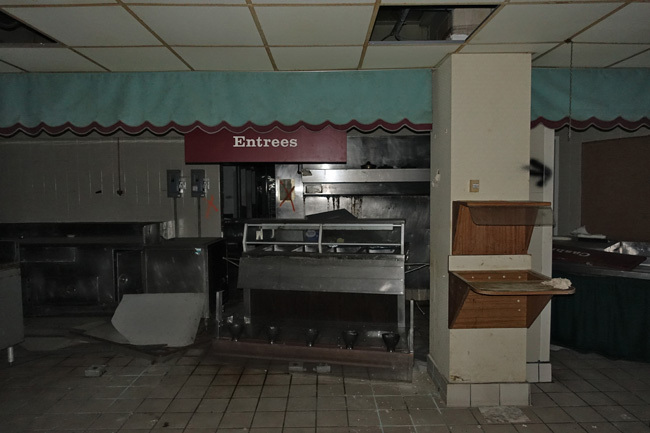 The abandoned cafeteria was eerie and dark. 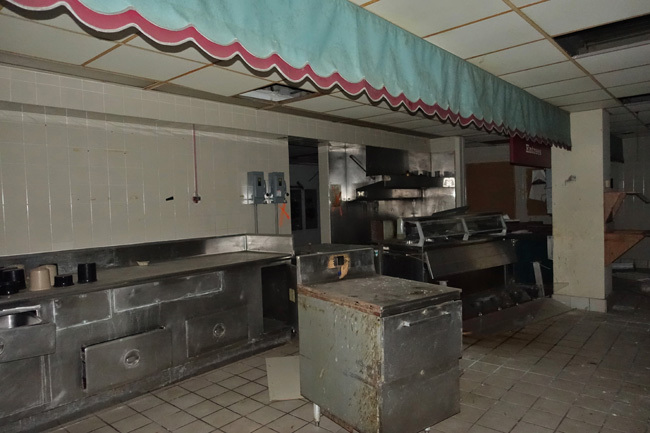 Wires and fixtures hung from a ceiling that had begun to fall in. 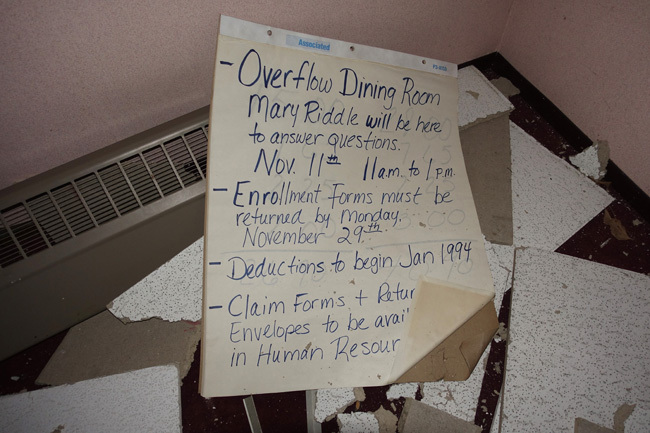 Scattered artifacts left clues about the employees who once worked at Riverside. 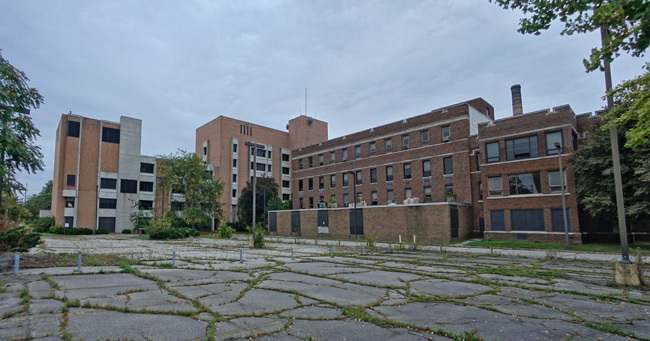 Finally it was decided that Riverside Hospital would be demolished, with plans to transform the property into a green space. 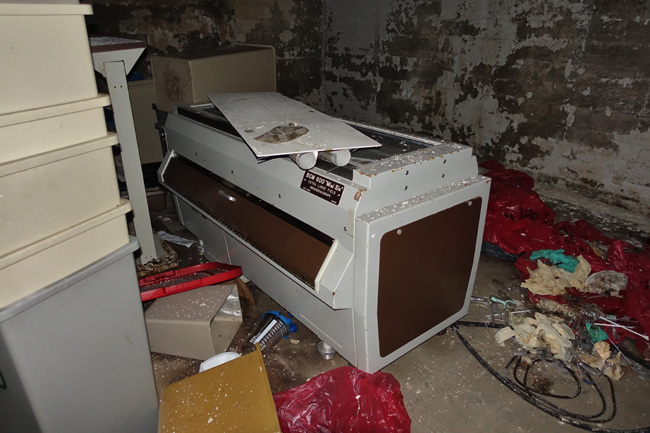 In June of 2018, a group of former employees gathered to open a time capsule that had been entombed behind a cornerstone in 1972. 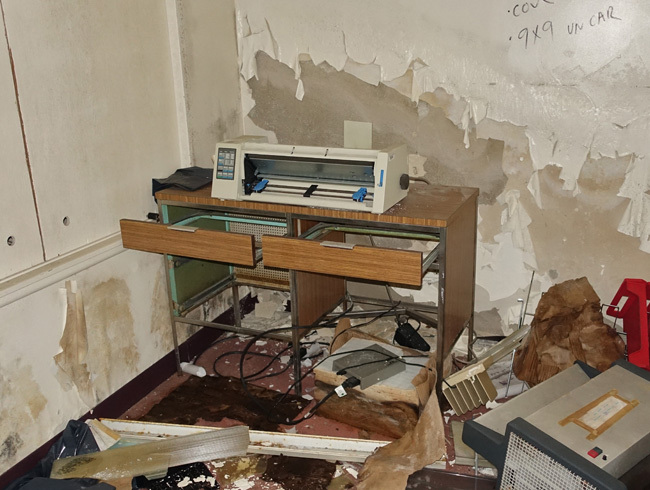 The capsule contained surgical tools, a stethoscope, a nursing cap, a list of hospital employees, a visitors pamphlet, pens that had been used to sign revenue bonds, and newspapers from 1972. 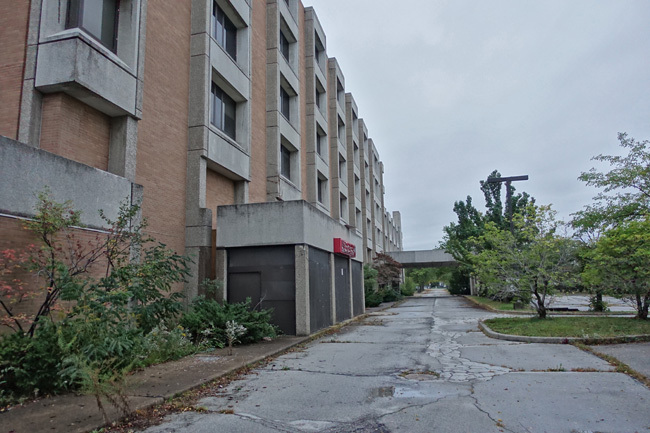 Demolition of Riverside Hospital began on August 22, 2018 and is expected to take 5 months to complete at a cost of $998,500. 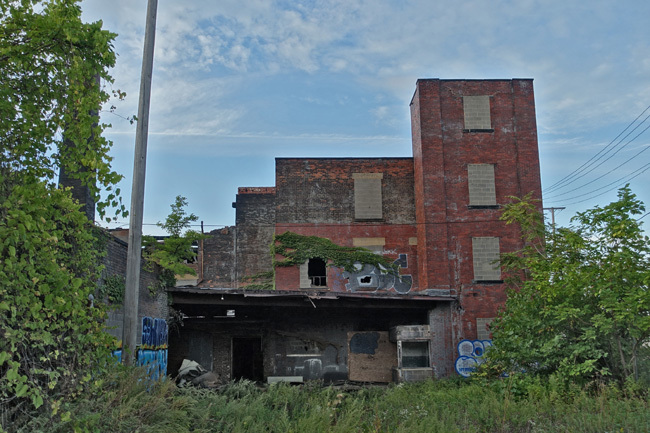 After a quick visit to Toledo, I continued on to Detroit. Nothing could have prepared me for what I'd find there. I can hardly wait to tell you about it. Thank you for checking out this article. If you enjoyed it, please share it on Facebook. To receive an email announcement when I post my next article, please subscribe to Places That Were. 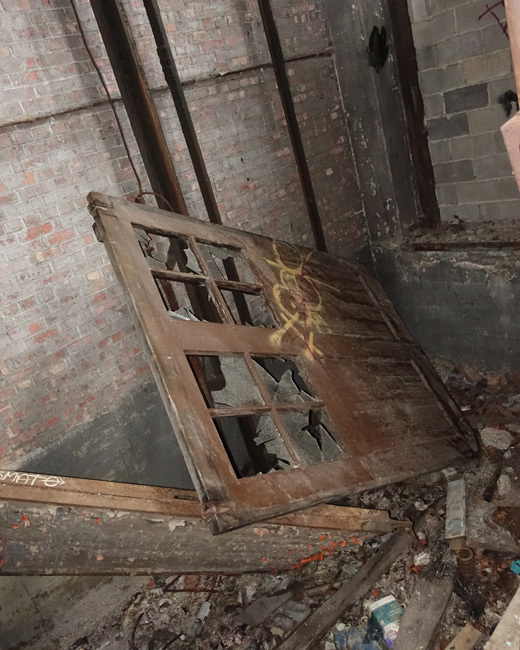 Until then, click here to read about other abandoned places I've explored. 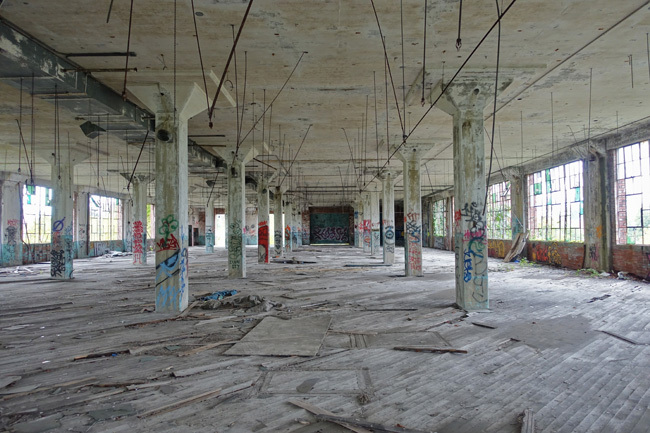 In the twenty years since its closure, what was once the largest clothing factory in the US had become one of Cleveland's most recognizable abandoned industrial sites. 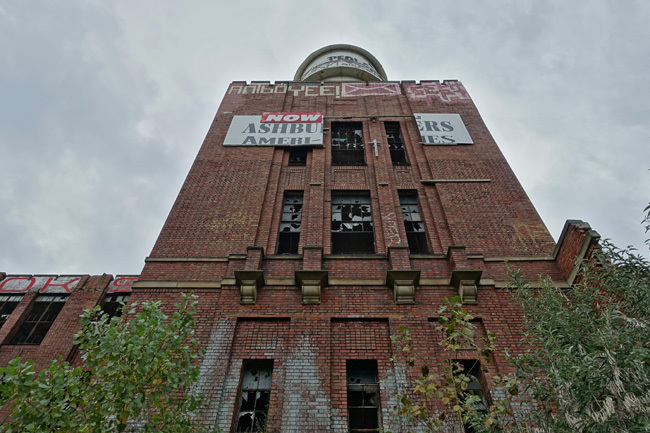 Neglected for two decades, the site was gradually transformed by vandals, graffiti artists and the forces of nature into a foreboding apparition. Now it has found new purpose. 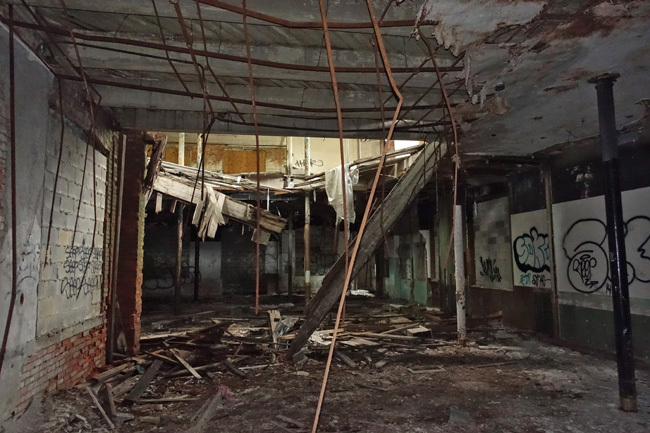 After I stopped to visit an abandoned headboard factory and the car audio shop that bordered it, my time in Cleveland was nearly at an end. 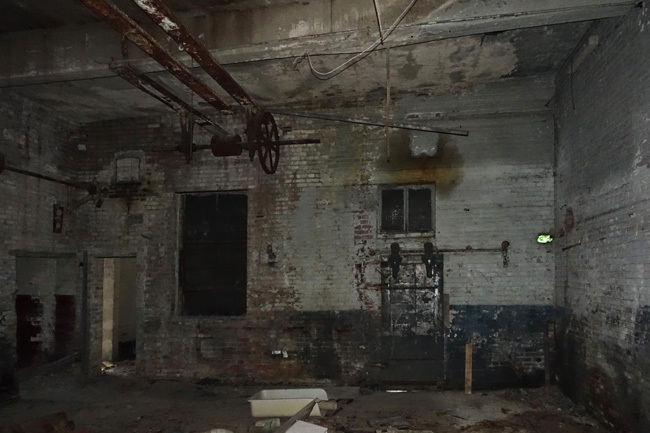 But before I could leave the city, I had to check out the magnificent remains of the Joseph & Feiss Clothcraft industrial compound. 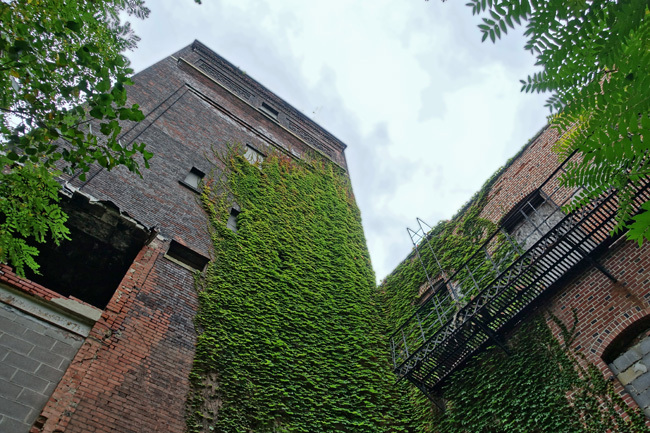 The grounds, which lie along West 53rd Street just south of the I-90, were overgrown with tall grass, brush and small trees. 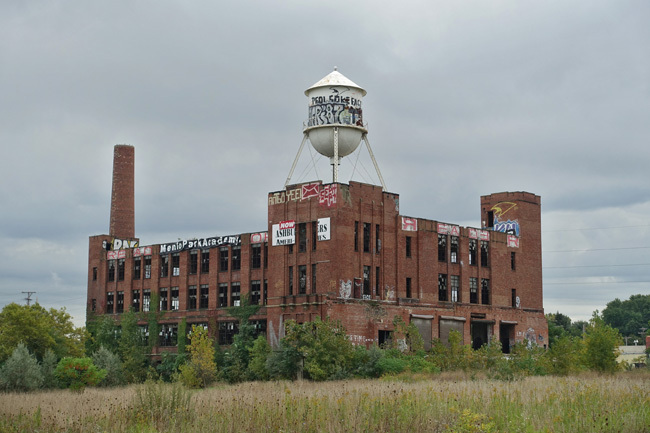 The massive manufacturing plant that occupied the majority of the property was demolished in 2003-2004, leaving only the administrative building and the three-story warehouse structure. 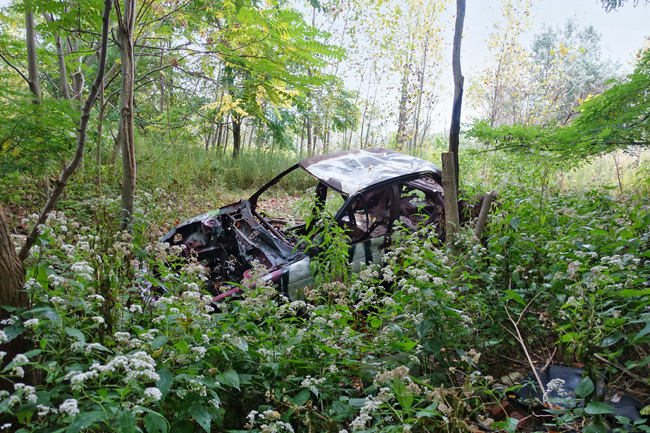 A wrecked car sat partially concealed among the plant life. A black banner with white lettering reading Menlo Park Academy flapped in the wind. 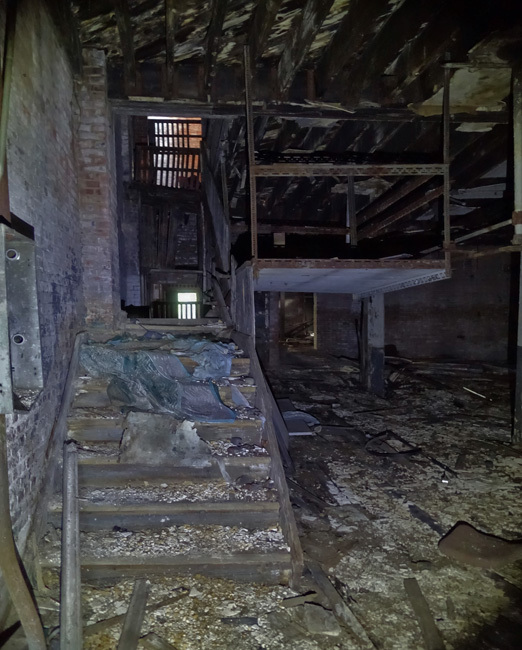 I had read that there was an effort to convert the old structure into a school, but the bleak state of the place made me doubt it would ever come to fruition. 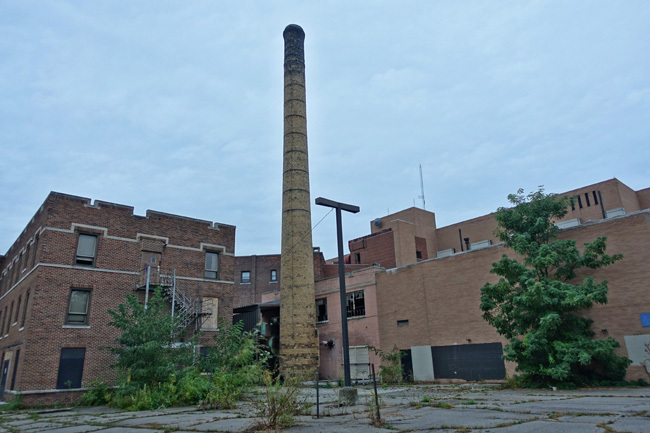 Ameri Con Corporation had purchased the land in 2000 with the intention of developing condos, but those plans had been abandoned. 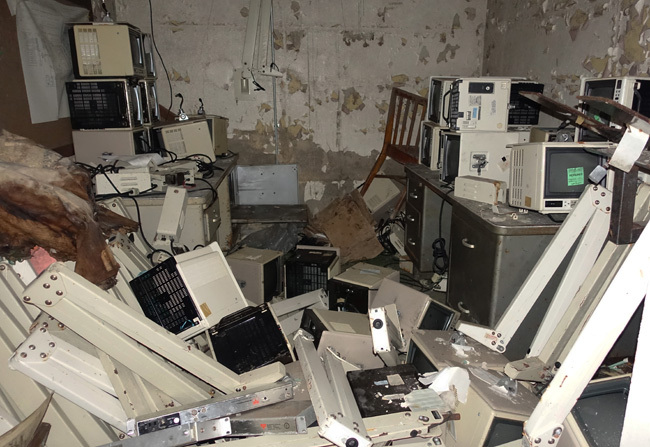 I assumed the dream of Menlo Park Academy would meet a similar fate. 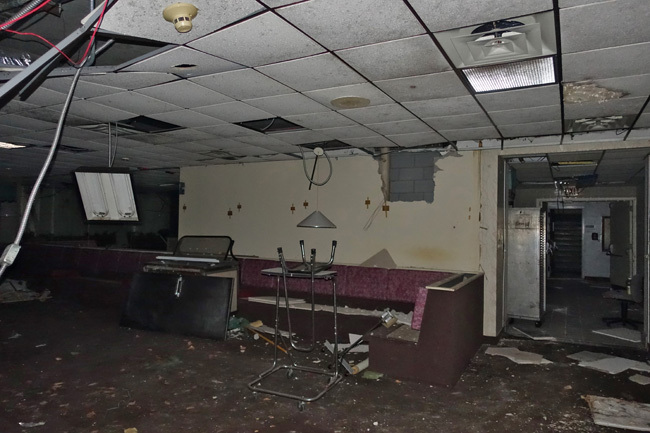 The Joseph and Feiss Company began as a store in Meadville, PA. Founded in 1841, it was originally known as Koch and Loeb. 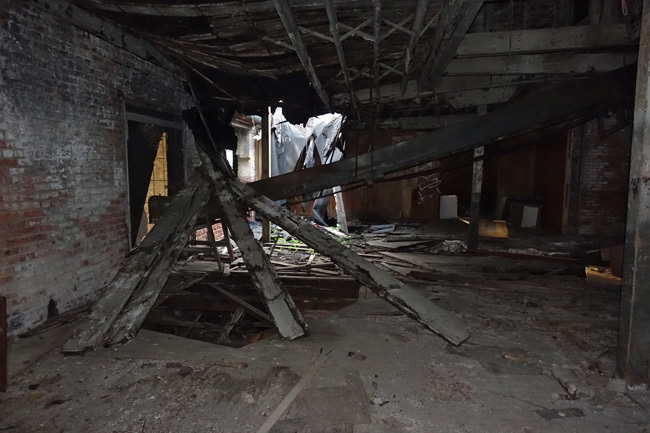 The business moved to Cleveland in 1845, where it sold clothing for men and boys and piece goods to local tailors. In the early years, the clothing was made by small local shops. Then, in 1897, the company switched to manufacturing everything internally. 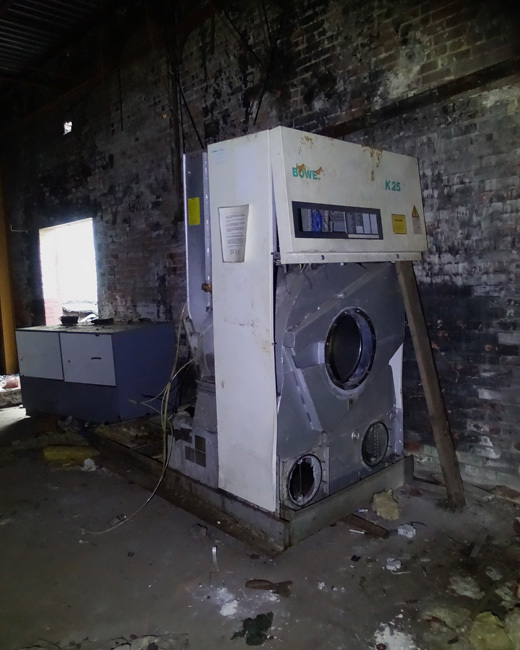 The local shops were folded into one centralized manufacturing facility and the former owners were hired as operators and foremen. In 1907, senior partners Moritz Joseph and Julius Feiss changed the company name to Joseph & Feiss Co, though the clothing was sold under the brand name Clothcraft. Their $15 blue serge suit was extremely popular and was marketed as the Model T of the clothing industry. Julius Feiss's son Richard Feiss became factory manager in 1909. Richard strove to increase productivity through use of scientific management principles and reshaped company policies to improve the quality of life of his employees. Under his leadership the company developed a reputation as having the most progressive work environment in the country. He hired Mary Barnett Gilson, a Progressive Era reformer, as head of the employment and services department. With employee health in mind, they redesigned worktables and chairs and ensured proper lighting and ventilation in work areas. Feiss introduced benefits such as medical and counseling services and employee savings programs, allowed workers an opportunity to participate in decision making, and rewarded them with performance-based promotions and wage increases. Under the leadership of Richard Feiss the company also held dances, picnics, music and athletic programs, clubs, and a choir. In 1917, he instituted a five-day work week for employees, years before Henry Ford did, though Ford is often credited as the first US industrial employer to do so. 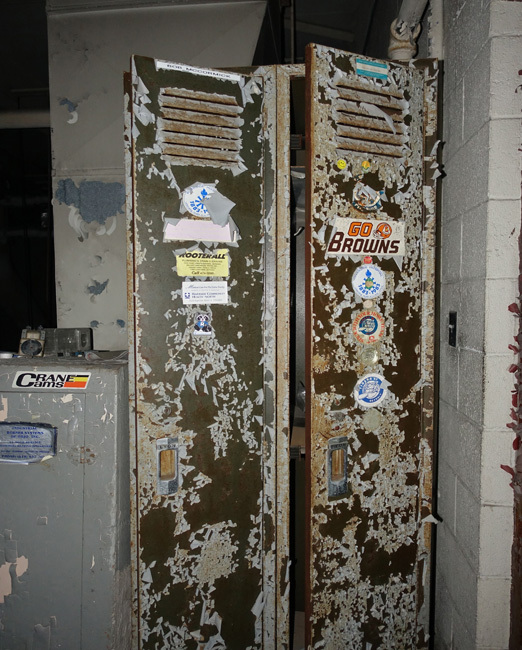 It is believed that the generous benefits enjoyed by Joseph & Feiss employees prevented them from unionizing during a period when unions were becoming increasingly popular. 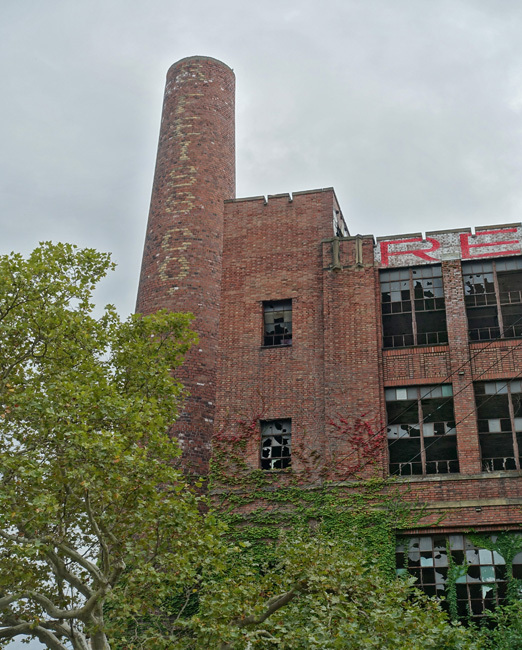 Due to the growth of the business, Joseph & Feiss relocated to its new W. 53rd street factory in 1920 and officially became incorporated in the same year. In 1925, Richard Feiss was forced out by his father and brother, who both held high positions in the company. After a brief strike in 1934, the workers, who numbered about 1,800, joined the Amalgamated Clothing Workers of America union and negotiated a 10% wage increase. During World War II, Joseph & Feiss was a major producer of uniforms for the US Army and Navy. In the ensuing decades, the company acquired other brands and diversified its clothing lines, eventually adding tailored clothes for women. Joseph & Feiss merged with Phillips-Van Heusen in 1966, and then was acquired by Hugo Boss in 1980. As casual clothing became more mainstream, business suffered and mass layoffs occurred. 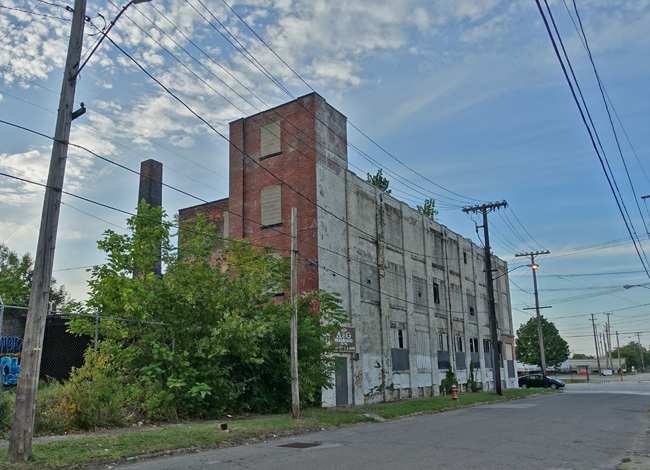 In 1997 the massive plant on West 53rd Street closed and operations moved to the company's distribution center in the Brooklyn area of Cleveland, where it still operates today. 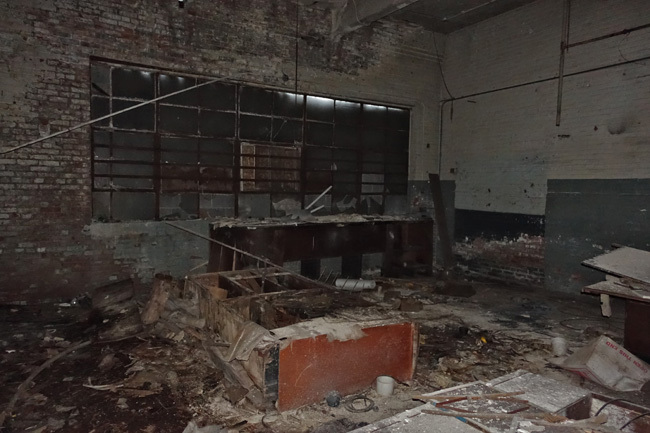 The West 53rd Street plant stood abandoned for nearly two decades, a sad reminder for ex-employees who watched their former workplace fall into increasing disrepair. There is some beauty to be found in it though. 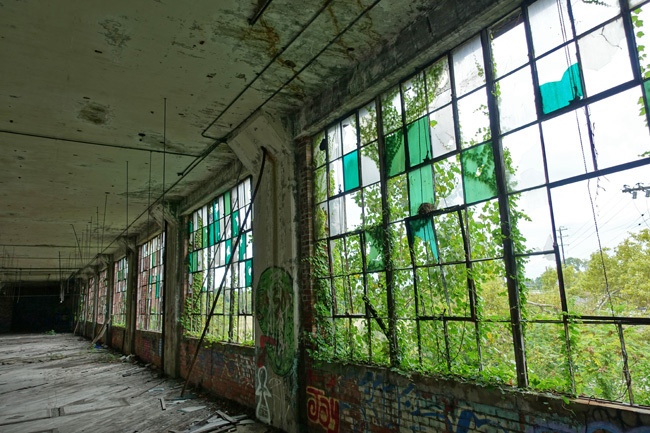 When nature creeps back into a site long occupied by human industry the results can be striking. 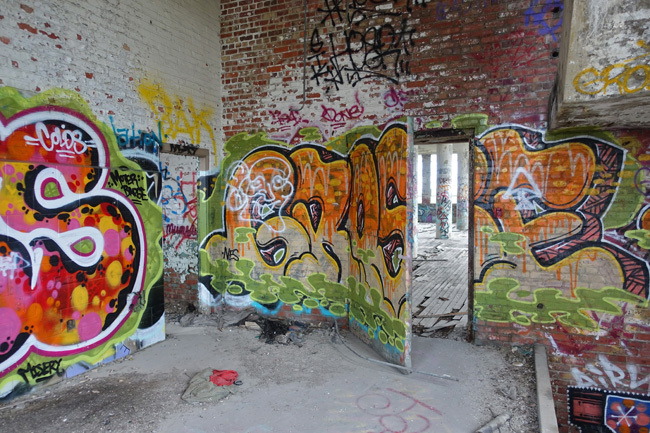 Even some of the graffiti isn't all that bad to look at. 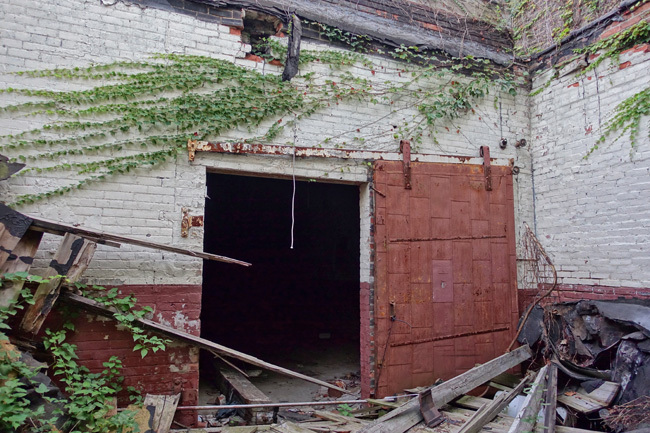 After nearly twenty years of disrepair and decay, the old Joseph & Feiss factory has found new purpose. In 2015, Menlo Park Academy, a school for gifted children, bought the property with the intention of expanding their school. 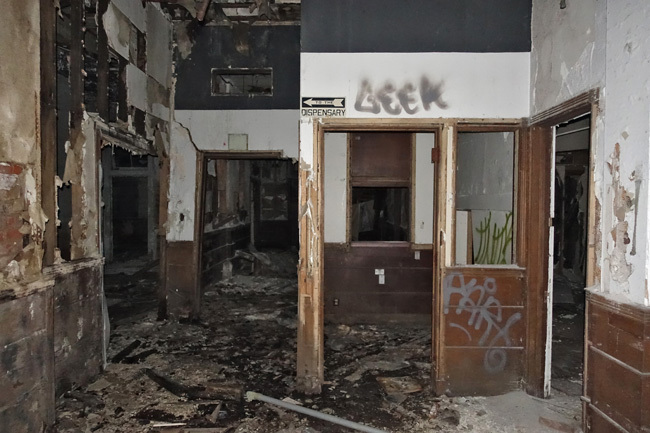 In 2016 Menlo Park Academy received a $4.6 million grant from the state to renovate the historic building and transform it into a tuition-free educational center for gifted youth. The new school opened in 2017. 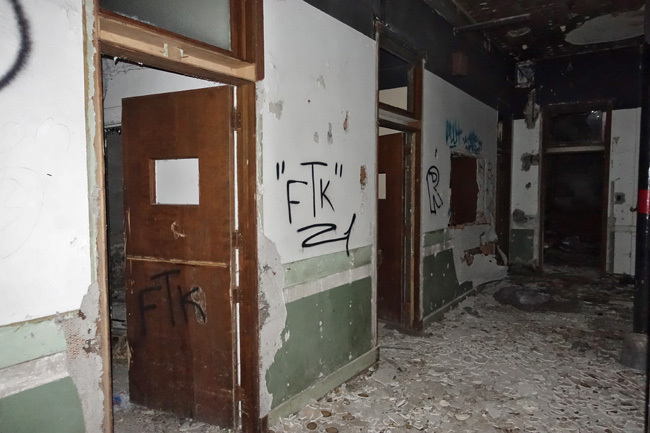 After a memorable few days exploring some of Cleveland's most fascinating historic buildings, I hit the road and headed to Toledo, home of the abandoned Riverside Hospital. 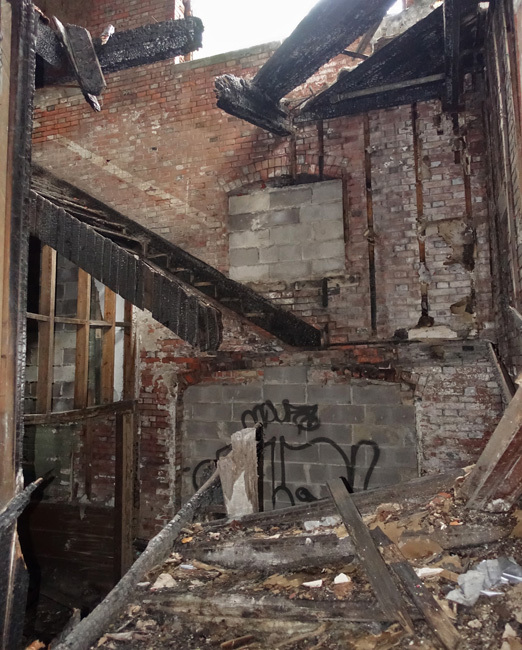 In a severely blighted section of Cleveland the streets are lined with one abandoned building after another. 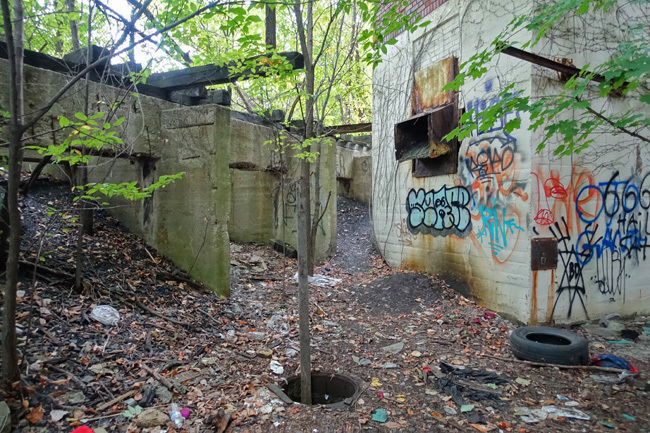 Empty lots with uneven ground and tall weeds mark the places where neighboring structures stood before times got tough. 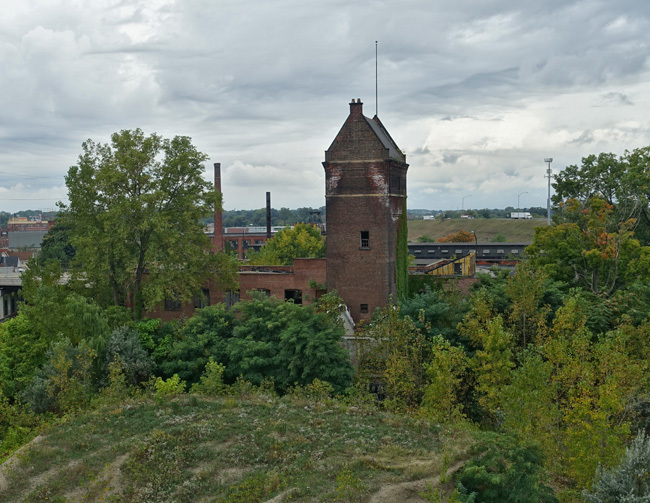 Several blocks from the massive industrial ruins of an optics plant, the contaminated site of a metal plating company, and the crumbling remains of Cleveland Railway Co (follow the links for history and photos of these places; they're fascinating), stands a pair of abandoned businesses. 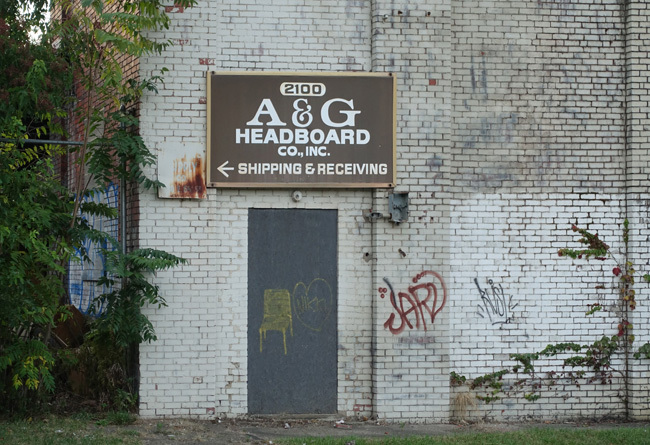 A&G Headboard Company occupied one of the now-abandoned buildings along Carnegie Avenue in Cleveland, Ohio. The company was incorporated in 1968 by Abe, Masha, and Nina Glass. The name changed to A&G Headboard Manufacturing Co. when it was acquired by Harold E Friedman in 1979. I wasn't able to find much information on the company, but it seems to have closed its doors in the mid-1990s. The structure is severely weathered. 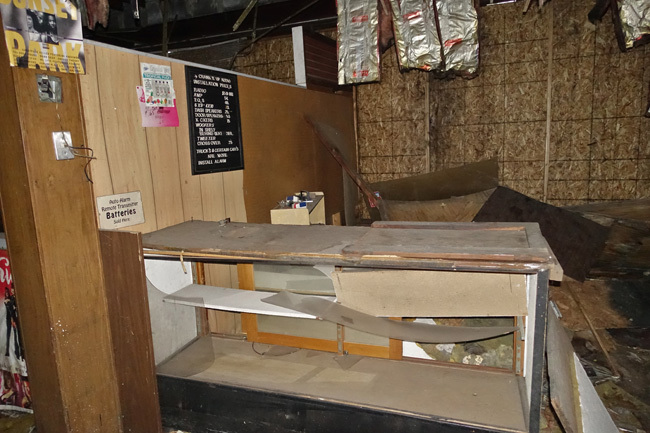 Pieces of the ceiling have fallen in. 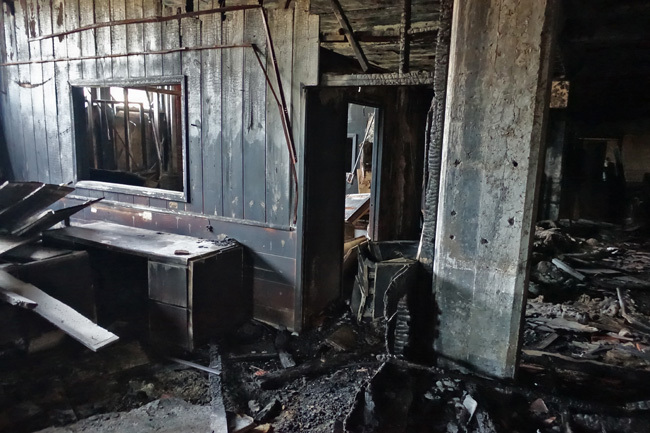 Much of the furniture and office walls were scorched in a fire some time ago. 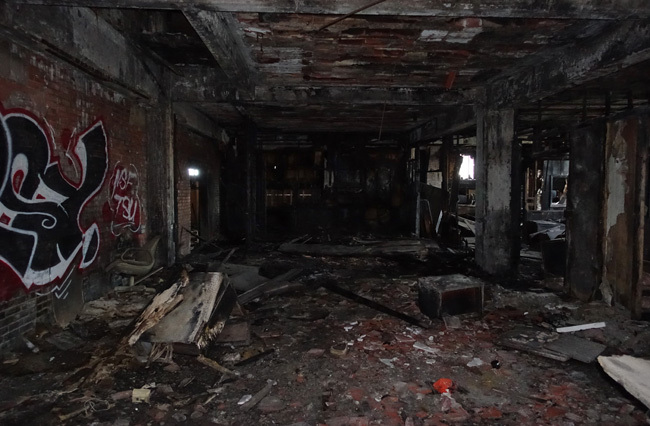 The fire did not spread beyond a relatively small section of the building. 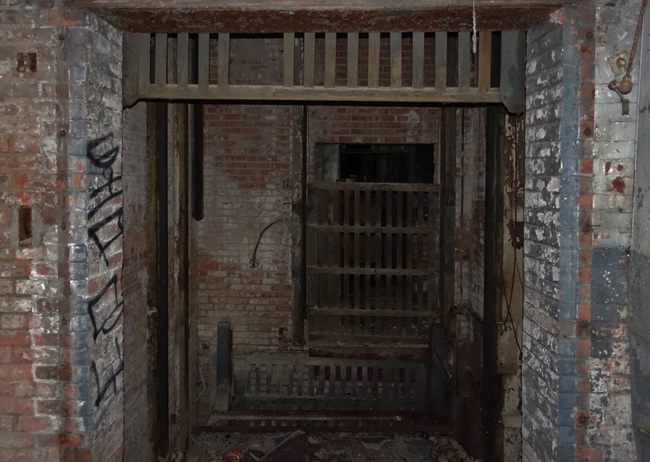 The aging abandoned structure is creepy and dungeon-like. 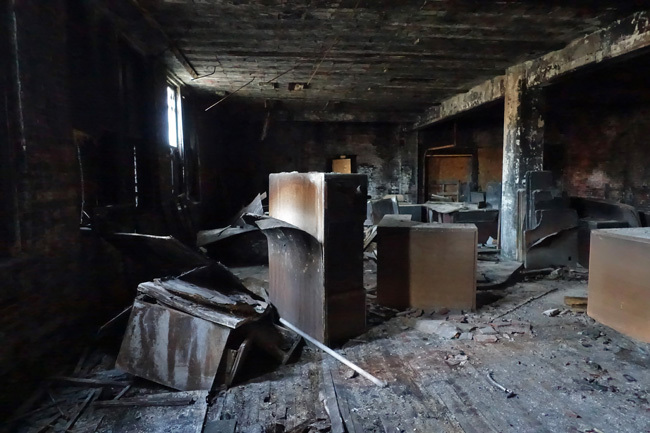 The few artifacts that remain are badly damaged from fire, water, and time. 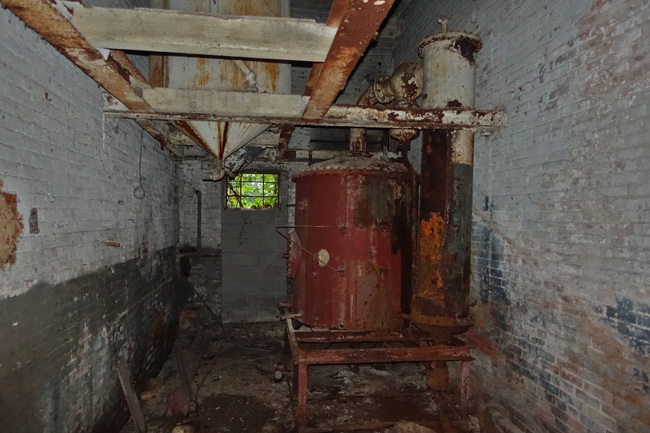 Several pieces of larger equipment remain, but are rusty or otherwise damaged. 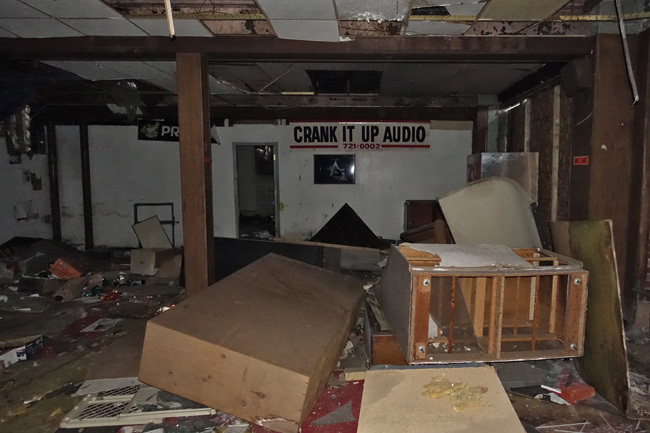 Next door to A&G Headboard Co. is the ransacked office of Crank It Up Audio, a retailer of car stereos and security equipment. 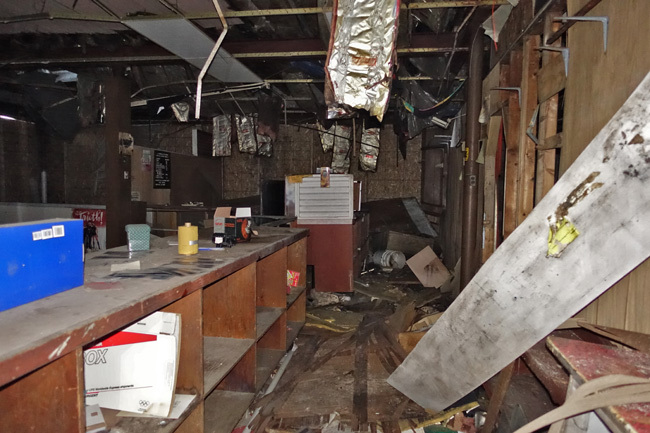 The place has been thoroughly trashed by vandals. But a few signs and posters still hang on the walls. I had a hard time finding information or records related to Crank It Up Audio, but it seems the business opened in 1990. 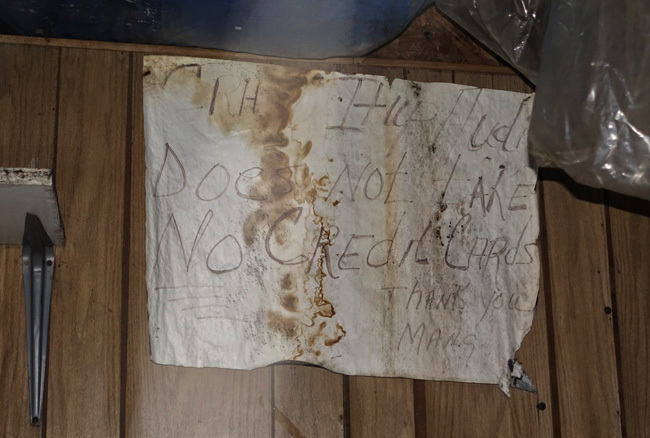 Judging by a calendar that still hangs on the door, the shop probably closed sometime in or shortly after 2002. If any of you have memories of A&G Headboard Company or Crank It Up Audio, please leave a comment below. 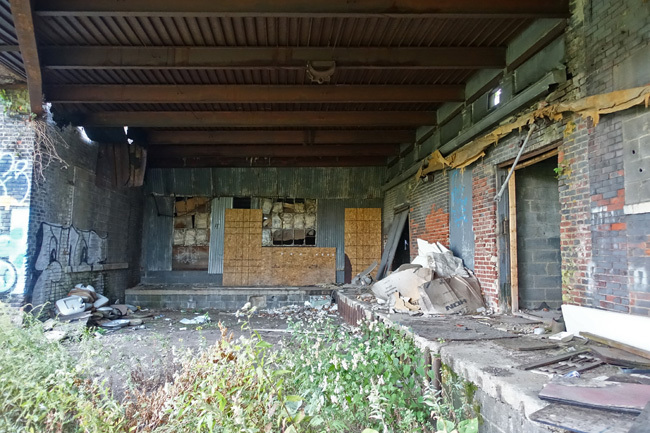 The next stop on my journey was the remains of the Joseph & Feiss industrial compound. Click here for the full story. To receive email announcements when I post new articles, please subscribe to Places That Were.